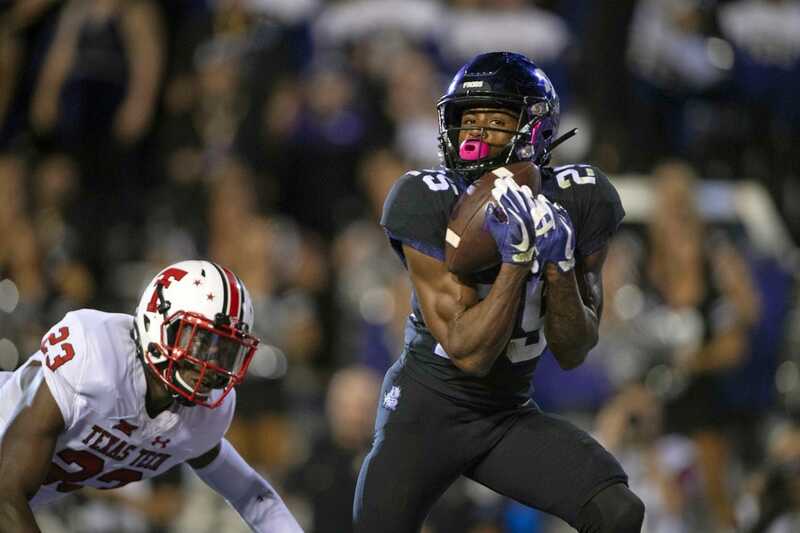 Texas Tech suspended starting cornerback DaMarcus Fields and three others players for "internal reasons," first-year coach Matt Wells announced after Tuesday's spring practice. Wells said the other suspended players are junior defensive tackle Joseph Wallace, junior running back Da'Leon Ward and redshirt freshman receiver Corey Fulcher. Wells said the discipline involved multiple issues and he described it as "just some internal reasons we're going to get straight." Wells didn't reveal a timetable for the returns of the players. "They could be back soon. They could be back in a while or could never be back. We'll see," Wells told reporters. "We've got to get some things cleaned up off the field and we'll get it done." Fields, a junior, has started 23 games over the past two seasons. He had 38 tackles and two forced fumbles in 12 starts last season. Wallace recorded 37 tackles last season -- including four for losses -- while starting seven of 12 games. Ward rushed for 341 yards and three touchdowns in nine games (six starts) in 2018. Wells replaced the fired Kliff Kingsbury and is trying to change the culture of a program that has experienced losing campaigns in four of the past five seasons. "We're not going to lower the standard. There's a way to do things around here," Wells said. "It's an honor, it's a privilege to work and to play and to coach at Texas Tech. Nobody's entitled, and I'm not inferring that those guys are. I'm just saying that we're going to do things the right way around here, or we're not going to play or practice or coach."